Late last year, social media was abuzz with excitement over the launch of a new snack. 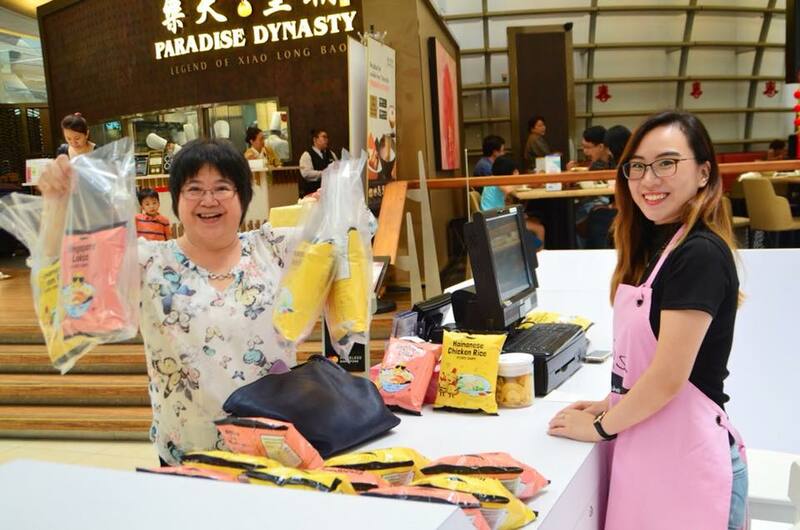 Salted egg-everything had been the reigning snack for a while in terms of popularity, but a homegrown brand managed to turn the public’s attention back to the humble potato chip. 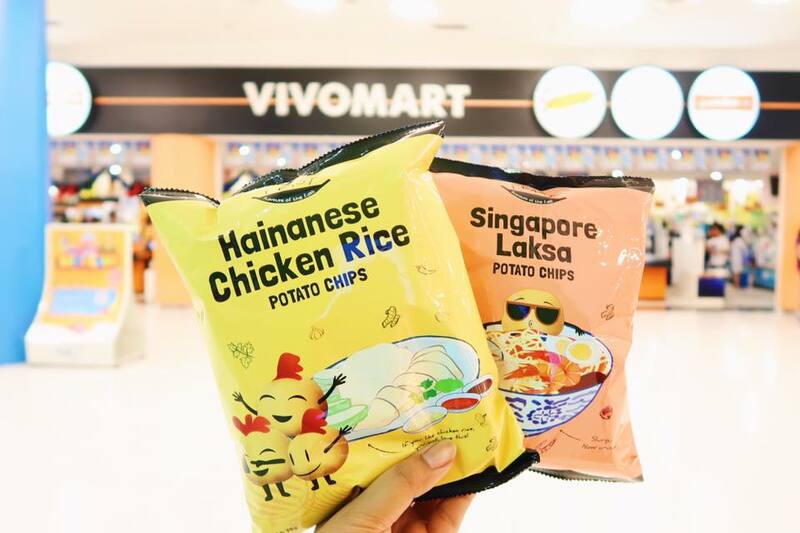 As compared to the flavours of chips we’re used to, like Sour Cream & Onion or Barbeque, they were offering Hainanese Chicken Rice and Laksa-flavoured potato chips! Named F.EAST (short for ‘Flavours of the East’), the brains behind the brand belong to a Singaporean husband and wife team – Lee Yue Jer and Kee Vern Cheng. 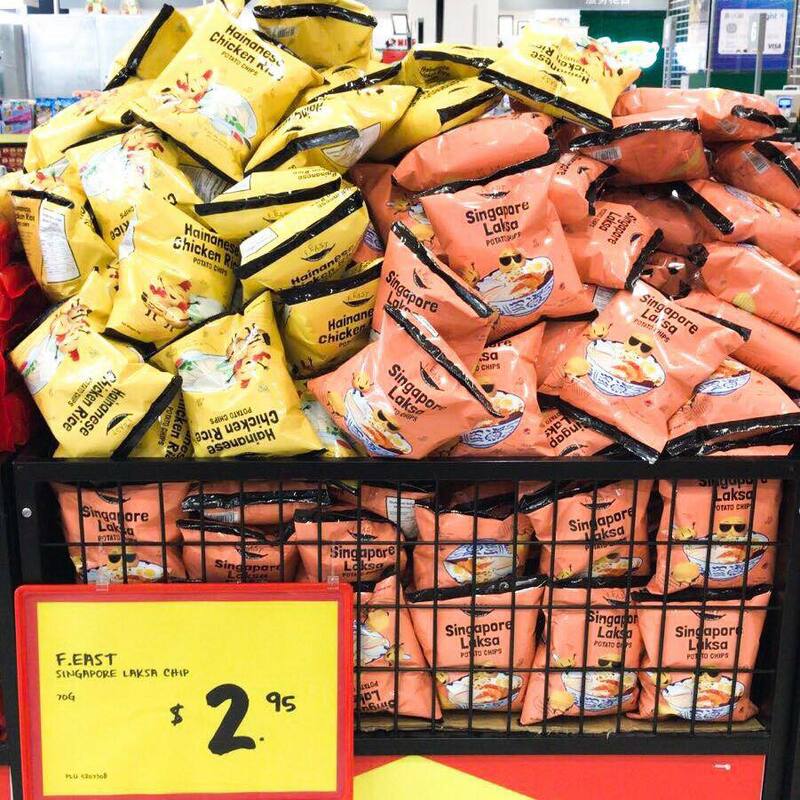 Retailing at $3 per packet, the demand for the chips lived up to its hype and stocks were constantly sold out during the first few weeks after launch. 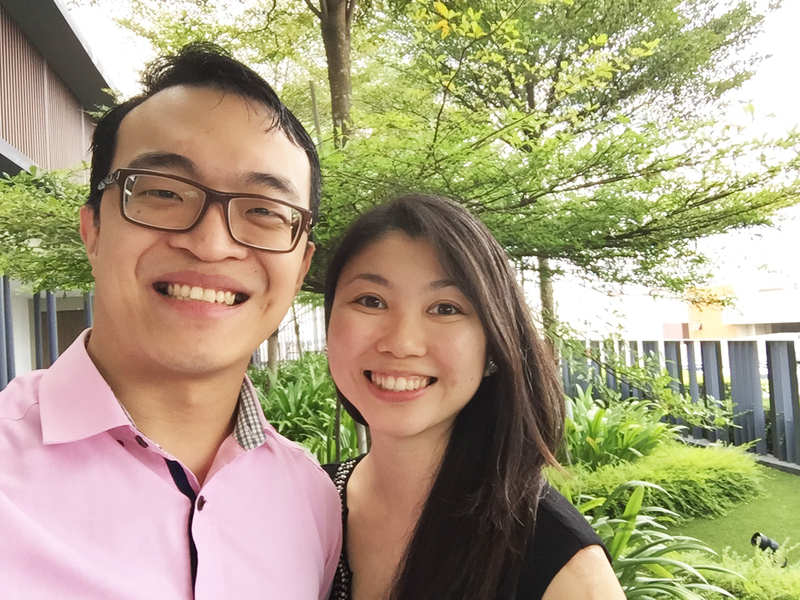 Thus, it definitely came as a surprise when I found out that the couple were F&B newbies, and are actually finance-trained! To find out more, I had a chat with the duo, and found out more about how they went from funds to food. Both 32-years-old, the couple met through work and Vern candidly recounted how they got acquainted. An accountancy major, Vern has since quit her job to focus on F.EAST full-time. Hubby Yue Jer, however, still holds his day job at an EU-based fund. But why go into F&B, and why potato chips inspired by local flavours? The answer was simple – a longtime love for the snack. 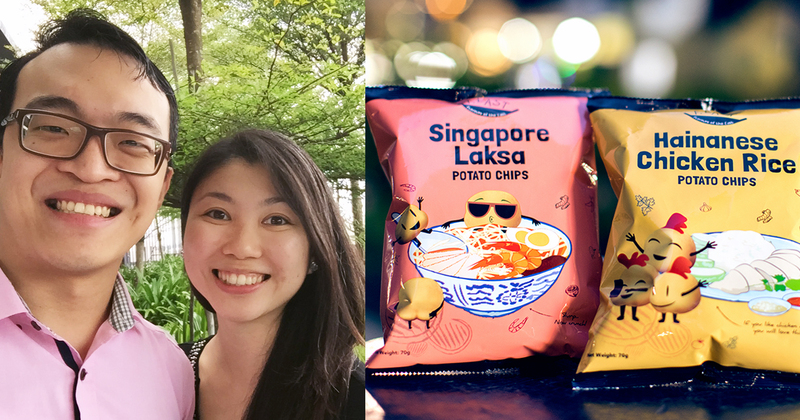 Just like Tan Wee Yang of Ah Tan Wings, Vern has been a fan of potato chips since she was young. What she realised over her years of browsing supermarket shelves, was that the flavours across all the brands were always the same. They are usually ‘western’ flavours. Asian flavours are rich and varied, but are underrepresented in the ranks of potato chips. As compared to just creating Asian-inspired flavours (think: Tom Yum, Seaweed, Masala) they wanted “Singapore-centric” flavours because it’s also the birthplace of F.EAST. 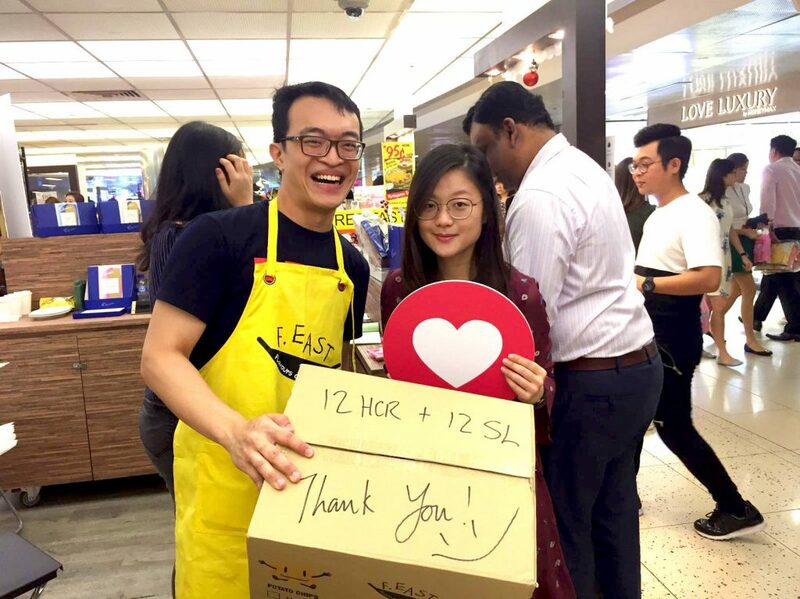 Initially lost at how to bring their ideas to reality, the first-time F&B entrepreneurs resorted to Google-ing and looking at the back of packs of potato chips before shortlisting reliable suppliers that they could approach. More often than not, they were not interested in working with unknowns with no track record nor experience. It’s a highly iterative process and requires rather well-developed taste buds, and the willingness to keep trying even in the face of failure and rejection. From idea to launch, Vern said that they took “a bit more than 2 years”. In fact, it was the time taken that proved to be the largest challenge so far, with the tweaks taking a few weeks each. For the business, they revealed that they “set aside about $100k”, which they invested into various aspects of running the venture. However, they had no marketing budget – arguably one of the more important expenditures for a new product. But luckily for them, the concept sold itself, and media publications picked up on their product as soon as the press release was sent out. We were very fortunate that Channel NewsAsia wrote an article from our press release, which generated a lot of interest from the cool social media guys at SGAG, and discussions on radio stations. 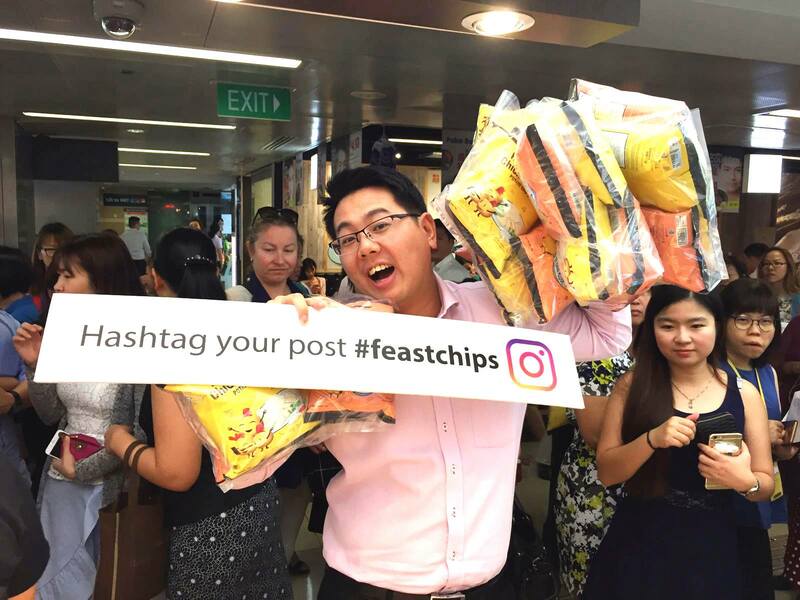 Launching only on 2 platforms at the start – a pop-up at Raffles Place and online supermarket Redmart, the chips were selling out as rapidly as consumers could buy them. But getting their products on Redmart wasn’t as simple as reaching out to them via email – in fact, the F.EAST team didn’t get a response when they first wrote in to the supermarket! Currently, F.EAST chips are stocked at more retail points, including Giant supermarket and 7-Eleven outlets. When asked about the number of packets they’ve sold so far, Vern reveals that they’ve actually haven’t been able to tally the exact numbers, given how “it’s [still] all hands on deck for operations” currently. However, having a tight, 2-person team has been working well for them, and Vern even counts it as the secret formula to their success. 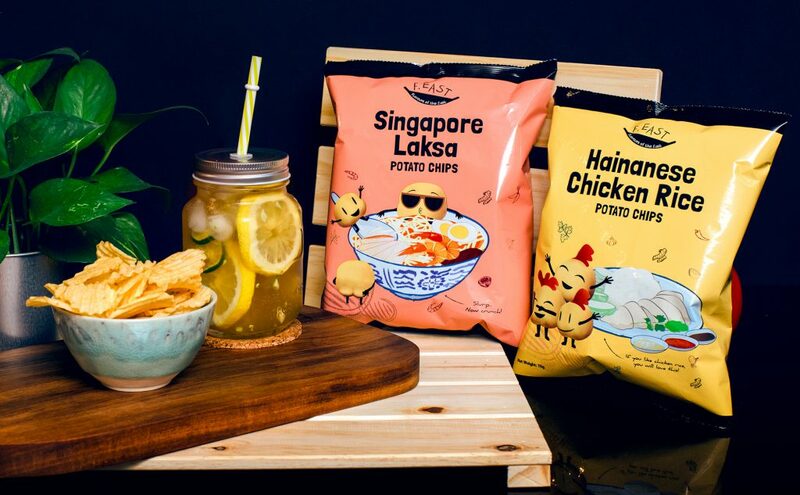 As for future plans, they intend to expand the number of distribution channels in Singapore so that consumers would find it easier to satisfy their potato chip cravings. Exporting the unique chips overseas is also something that they hope to do in the near future. More flavours are also in the works, but they don’t have an exact timeline for those as yet. We’d like to thank Vern and Yue Jer for their time. 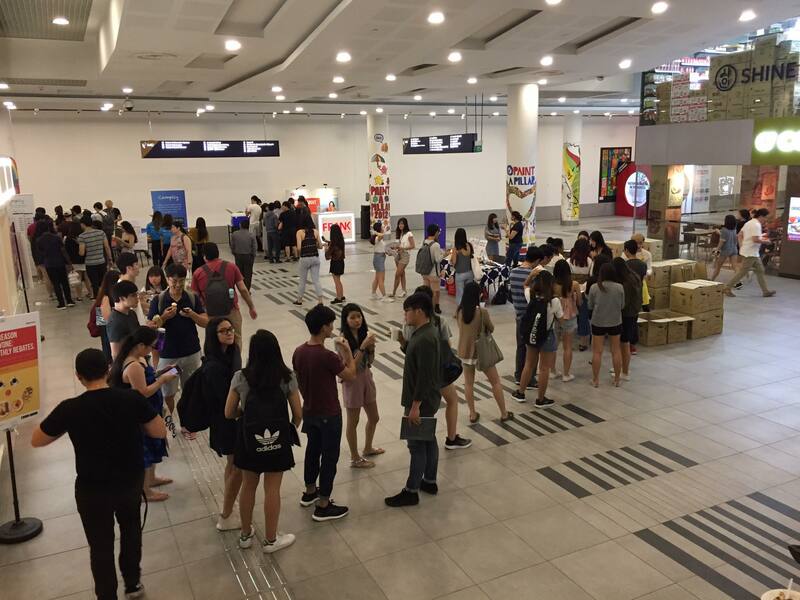 Find out where you can get F.EAST’s Chicken Rice and Laksa chips here!